Curry. Just the thought of it makes my mouth water and crave those spicy aromatics. Mmmm..... 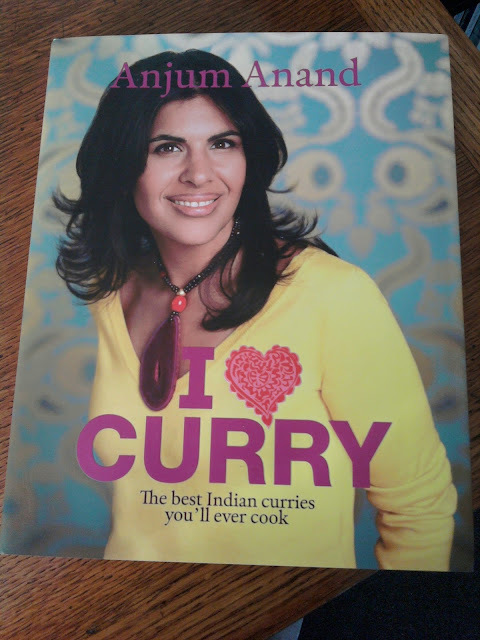 So I felt very lucky indeed to have been sent a copy of Anjum Anand's I ♥ Curry. I'm not new to making homemade curries - I ditched supermarket jars of ready-made sauces years ago, after I watched Anjum on the Indian Food Made Easy series on TV. Once you start making your own curries you realise how artificially sweet and thick some of those ready-made sauces are. 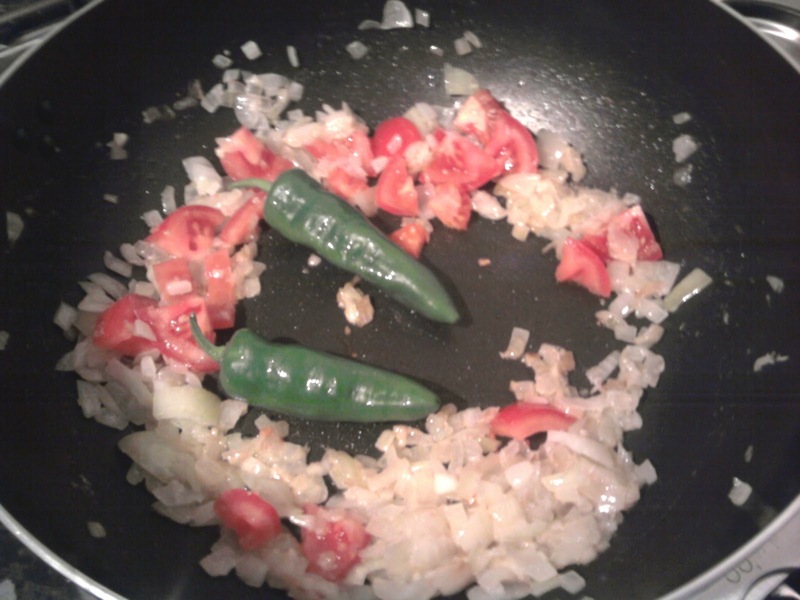 Made fresh, and watching the spices sizzle in the pan, you realise why we all fell in love with curries in the first place. The aim of this book is to showcase Indian dishes from various regions, while at the same time showing how easy and accessible making home-made curry can be. We all rely on takeaways and convenience food a little too much nowadays I think, and a good, comforting curry can be made from scratch in just over half an hour after a long day's work. First off, there is an invaluable section at the front of the book, Making Great Curry:The Secrets, which goes into the steps needed to make a really good curry, along with suggestions on how to balance the dish at the end, so it is to your liking. Too spicy? Add coconut cream. Needs to be sweeter? Add caramelised onions. By following this advice, you'll always get a great tasting curry that's personal to you. There is a Bites chapter - with starters and small dishes that are great for snacks or appetisers. And then on to the main event - the curries - with chapters for vegetables, fish and seafood, poultry and meat. Then a chapter on making Indian bread and perfect fluffy rice, and finally a section on salads and raitas. I decided to pick out a few of the dishes to make, to see if the recipes were simple to follow and to make sure I could get hold of the spices and ingredients easily. I chose Cardamom-Scented Chicken (p102), Lamb Do Piaza (p126) and Instant Naan Bread (p155). The recipes are written in a friendly, unimposing way that makes you feel as if you have Anjun there in the kitchen helping you out. 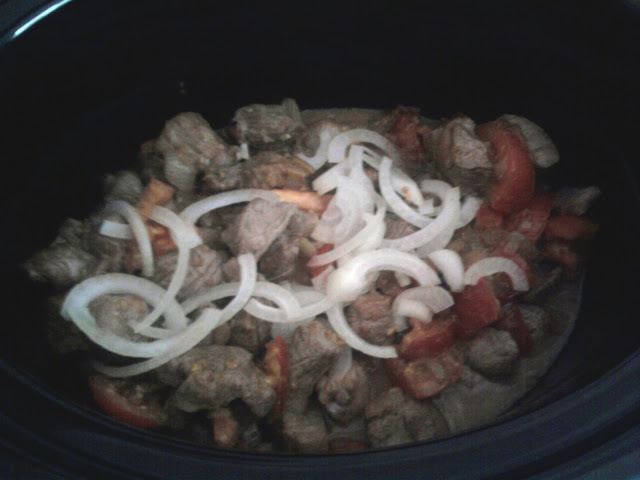 All recipes were very easy to follow and didn't take a great deal of effort. Apart from the initial chopping and a little bit of blending here and there, it was all left to sizzle away in the pan without further interference from me. The Cardamom Scented Chicken was incredibly aromatic and a favourite with my husband and the girls because they don't like spicy food. There was a subtle hum from the cardamom and the infused green chillies - but it was really pleasant. Anjum describes this dish as Indian "soul food, comfort food... what you want to eat when you feel poorly". With its light broth-like sauce and the chicken falling off the bone, it lived up to its expectations - as we mopped up all the sauce with the Instant Naan. The Instant Naan took all of ten minutes to make from scratch - flour, baking powder, bicarb, salt, sugar, milk, plain yoghurt and melted butter were all mixed together and rolled out. 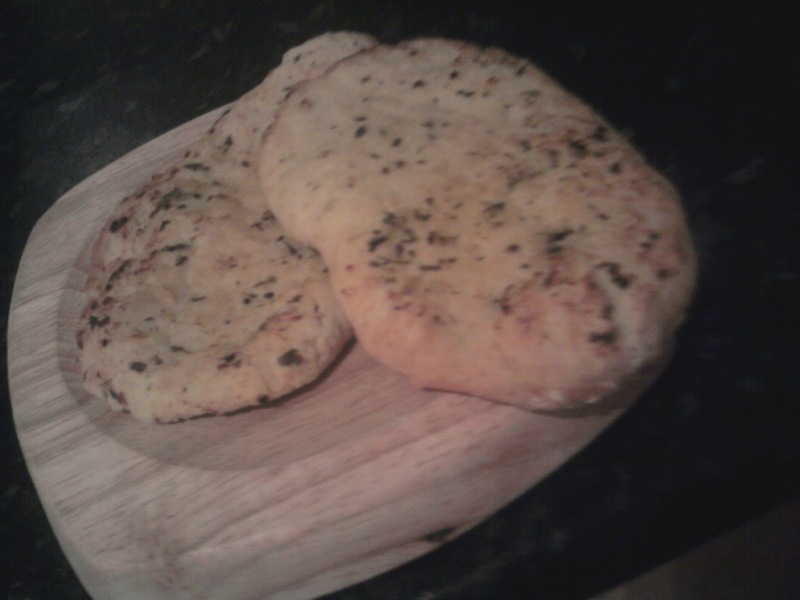 After a quick 4-minute spell in a very hot oven, I brushed the hot breads with more melted butter and they were ready. There were six of them between four of us and we still fought over who had the last one! These have sent me the way of the Yorkshire Puddings the other week - I'm not buying ready prepared naan ever again. This book is perfect for anyone starting out in Indian cooking or for a more confident cook who wants to hone their curry skills. With dishes from various regions including Goa, Andhra and Bengal and featuring quick fix one-pot dinners as well as more refined dishes for entertaining - I'm sure there is something for all tastes in this book. Oh and did I mention the naan?